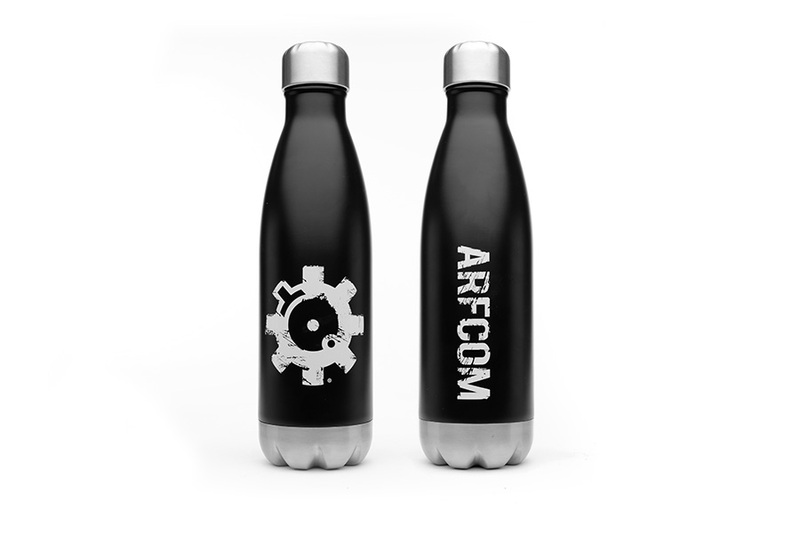 H2GO Force is a 17oz double wall 18/8 stainless steel vacuum thermal bottle with a threaded insulated lid. The stainless steel insulated lid, narrow opening, vacuum insulated body and copper plated inner wall help retain the internal temperature longer. 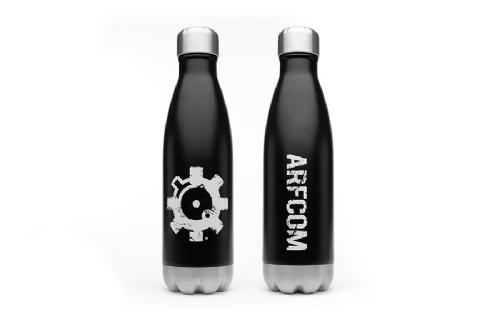 This bottle features a matte black finish with a distressed BFL logo on the front and ARFCOM on the back. The copper plated inner wall can make a difference of 9° F/5° C over 24 hours and prevents heat from entering or exiting the bottle by thermal radiation.